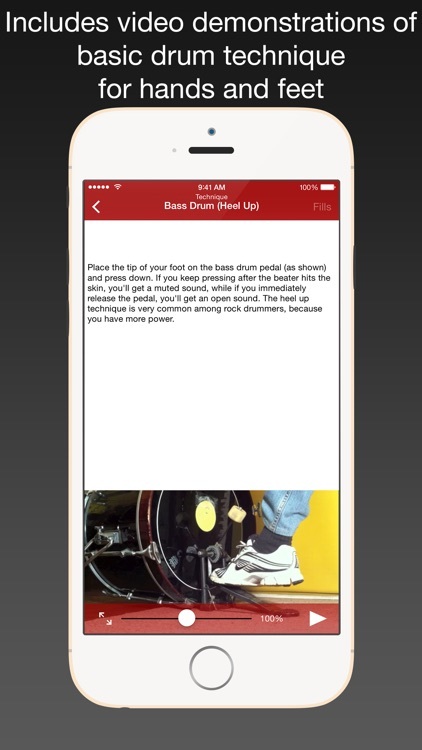 Advanced groove library and drum learning tool for all levels. Whether you're a beginner or a pro, Drum School is the perfect tool for advancing and expanding your skills. 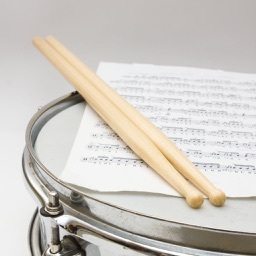 With a large selection of grooves, exercises and practice ideas, Drum School will continue to take you to the next level. Included styles: Rock, Rock'n Roll, Alternative Rock, Heavy Metal, Punk, Blues, RnB, Hip Hop, Funk, Reggae, Ska, Disco, Drum'n Bass, House, Techno, Country, Bluegrass, Jazz, Swing, Dixieland, Ragtime, Fusion, New Orleans, Tango, Bossa Nova, Samba, Afro Cuban, Soukous, Calypso, Waltz and many more. 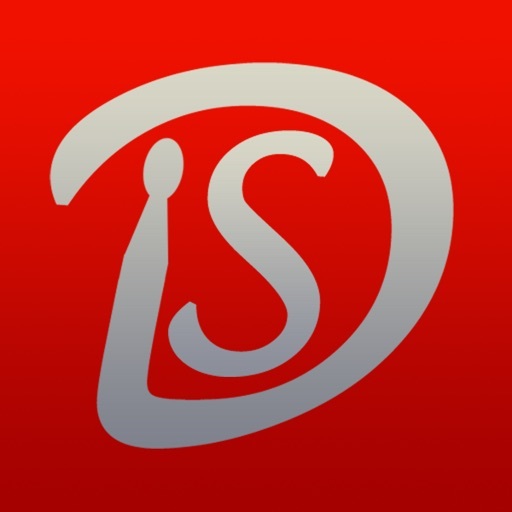 Drum School is divided in five main sections: Grooves, Practice, Technique, Hits and Favorites. 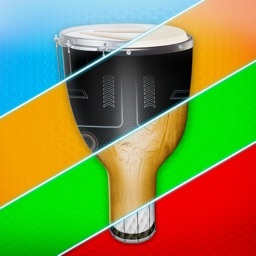 This is the main section of Drum School with over 300 drum grooves in many different styles. 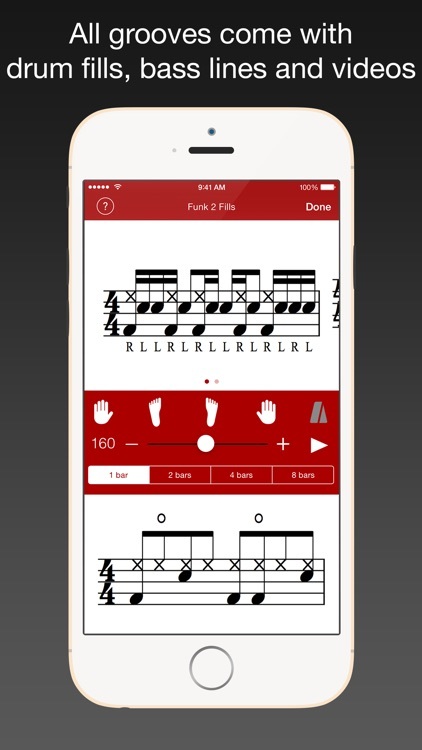 - Standard drum notation with high quality graphics in portrait or landscape mode. 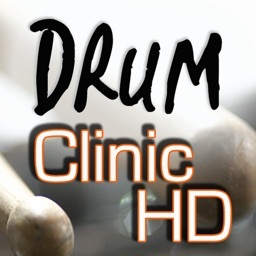 - High quality audio made from real drum samples that loop for play along practice. - Variable tempo range of 30 to 300 bpm without any loss of audio quality. 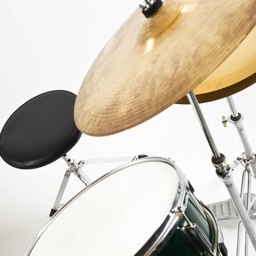 - Audio isolation of what each limb is playing, allowing the student to break down the groove into its basic components, learn them separately, and finally put them back together in various combinations. - Bass lines that help learning and experiencing the relationship between the drums and the bass in each style in a fun way. 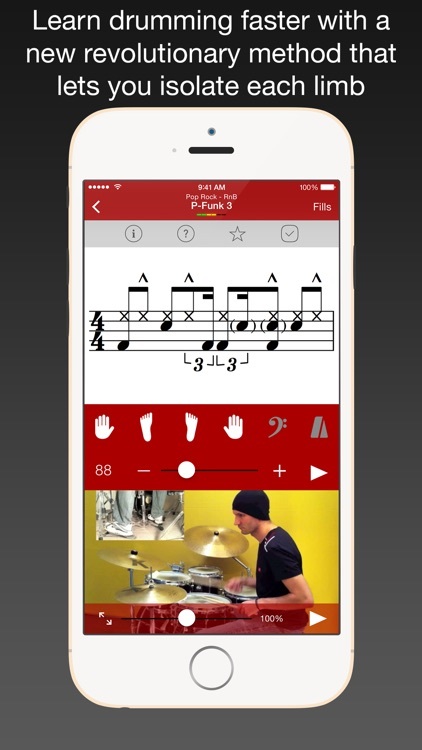 - High quality video performance by the author of the app, established and world renowned drummer, Ferenc Nemeth. The video speed can be adjusted and the more advanced grooves come with an extra video at a slower tempo. - Multiple drum fills that can be practiced individually or in conjunction with the groove in 2, 4 or 8 bar phrases. - Color coded indication of difficulty level from 1 (easy) to 6 (hard). 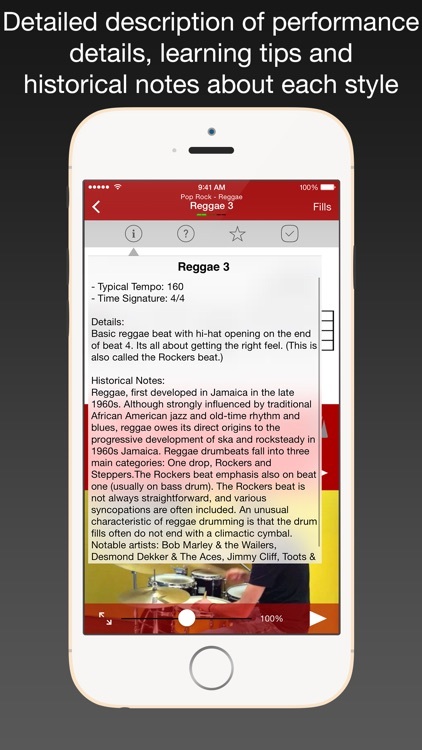 - Ability to mark the groove as completed so you can better track your practice progress. - Detailed description of performance details, learning tips and historical notes about each style. The practice section includes 145 drum exercises divided into: Basic Rudiments, Rolls, Flams, Drags, Hand Exercises and Coordination. - Audio isolation of left and right hand. - High quality video demonstration with adjustable speed. 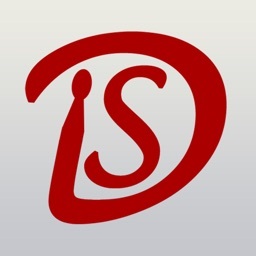 - Detailed descriptions of performance details and learning tips. 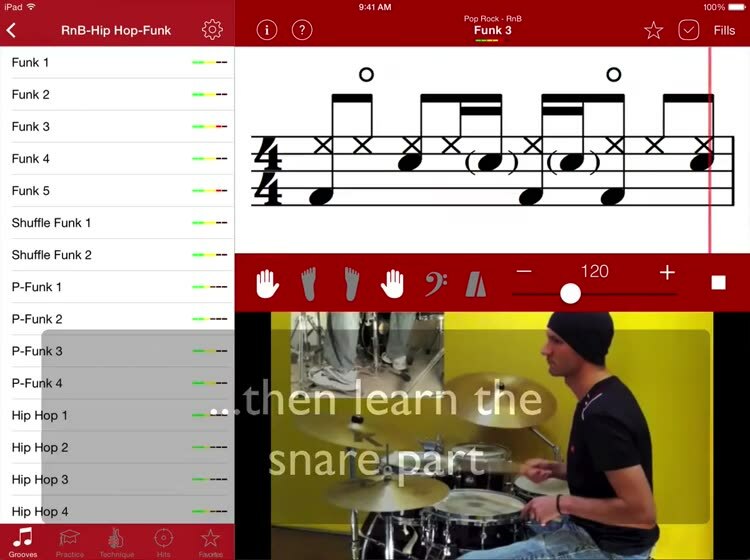 This section includes 12 video demonstrations of basic drum technique for hands and feet. Each video is accompanied by a detailed description and learning tips. This section includes classic Pop, Rock and Funk hits. Each groove comes with the same features as the "Grooves" section. 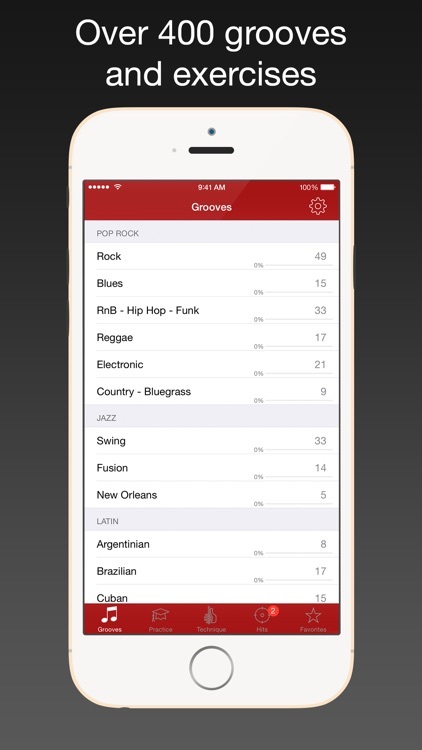 This is where you collect your favorite grooves and the ones you are currently working on. Visit the support website for a video demonstration.